We are experts at finding leaks on swimming pool pipes. 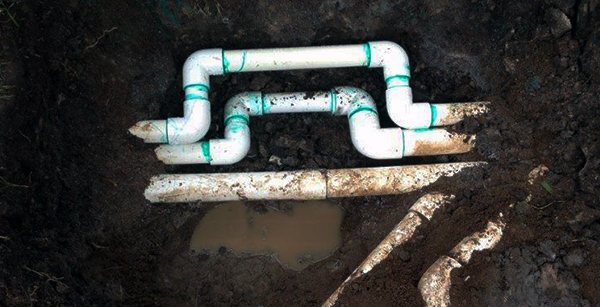 We use specialist equipment and years of experience to determine whether or not the pool pipes are leaking. Typically the pipes leak at the 90º elbows or the 45º bends but often it's where the aimflow jets and the pipes meet in the concrete walls. The pipes sheer off due to upward and/or downward forces arising from movement of the ground, etc. In this case a new jet/s will need to be built into the swimming pool wall. Quite often the filter's wagon wheel seal (inside the multi-port valve) becomes worn and this will allow water to pass through the neighbouring ports when the pool filter is set to "filter". Water will typically end up leaving the pool via the backwash pipe. This will create the illusion that the either the pool itself is leaking or the pipes are leaking. To replace a wagon wheel is a relatively inexpensive leak repair and can take up to 30 mins to complete.